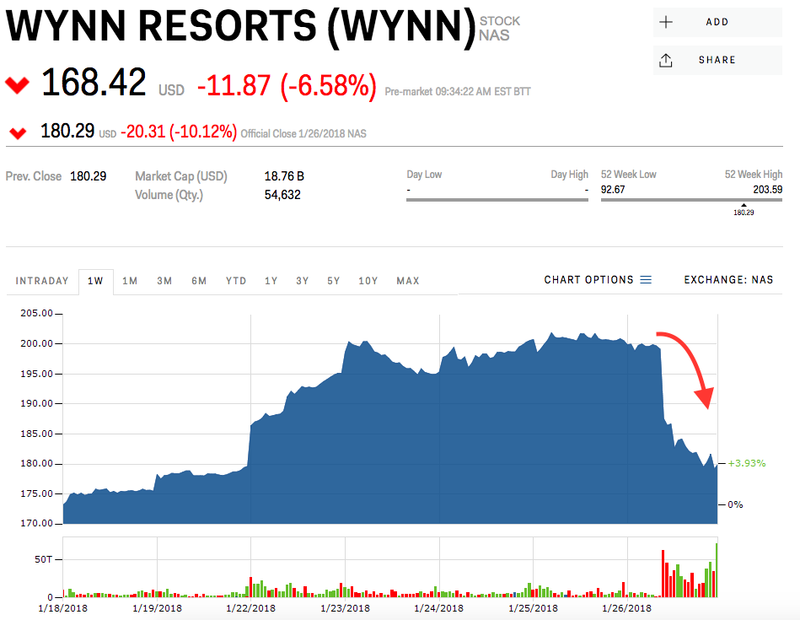 Wynn Resorts‘ stock continued to fall on Monday morning after CEO Steve Wynn was accused of sexual misconduct in a bombshell Wall Street Journal report. Over the weekend, Wynn announced he would step down from his role as finance chair of the Republican National Committee. Wynn was a prolific political donor, but in the wake of the allegations some lawmakers are turning their back on him, and calling for the return of his donations. See Wynn’s stock price move in real time here.